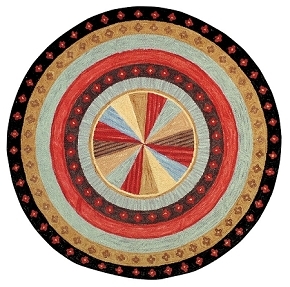 H-689 Cy, 2' x 3' Hand Hooked Wool Rug (CLICK SIZE BUTTON BELOW TO VIEW AVAILABLE SIZING AND PRICING). H689 Cy. 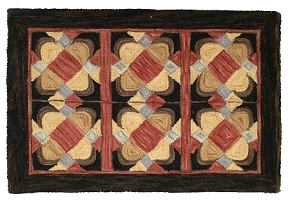 Beautiful hand hooked wool rug. 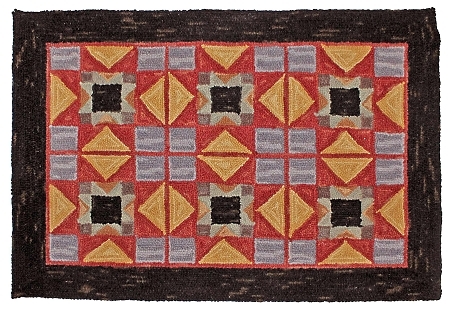 Made from 100% wool with a cotton cloth backing. 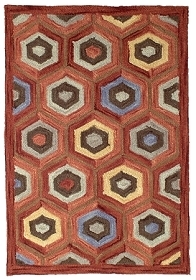 This new rug is quite simple and was inspired from a vintage quilt design. Full of gold, coral, red, black,iight greens and blues. The same color way as H657 Tammi.